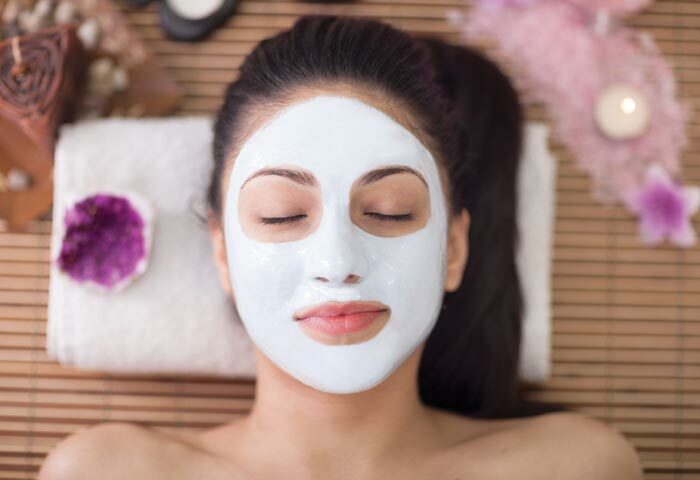 There have been times while doing a facial that I washed, exfoliated, microdermed, peeled and washed a clients face again only to have the clients makeup come off during the ENTIRE PROCESS! Can you say “ick?” Makeup is often entrenched in your face and you don’t know it, and if not makeup then dirt or other funk… One of the simplest ways to take care of your skin is simply to WASH IT REGULARLY!! At the very least put some facial cleansing wipes by your bed and take a quick swipe before sleeping… My personal favorite product for this is Simple Cleansing Cloths. But the best thing you can do is get a great face wash and use it every night! Want to have a boost or improvement to the skin? Toss a new product into the mix and see how mixing it up makes your skin react positively. Making little changes can actually give you a big boost in your overall look. Test drive a Vitamin C and see how it protects your skin… try a new enzyme treatment to strengthen your skin… add a new exfoliating product and work that dead skin off… throw in some Retin A and shake things up! Just like when you change up your exercise routine it can boost your results, so can adding a new product to your skin routine. From someone who waited awhile before trying BOTOX because of fear… I can attest that it’s something worth giving a whirl, especially if your problem area for aging is between your brows or in your forehead. 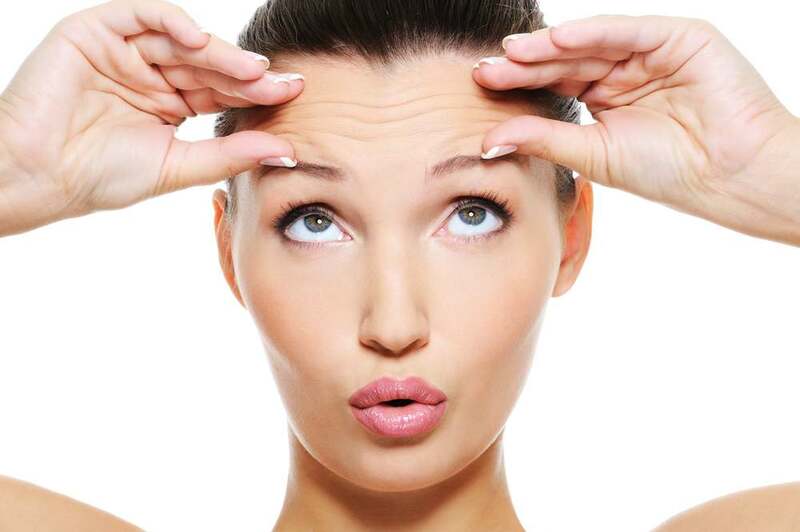 There does not exist a cream, laser or microneedling that will ever tame forehead wrinkles better than a little BOTOX. Forehead wrinkles are created by the muscles in your forehead moving. The only way to stop them from developing is to reduce that muscle movement and BOTOX is the only solution for that. Now I know, I know… you’re worried about looking frozen or artificial… but at the hands of a talented injector you should NEVER look that way. So if your worried about that just make sure you choose your injector from someone you know that looks great… don’t just jump into BOTOX without a good recommendation! Want to understand it better or find out how much you need? Check out my blog What Is The Difference Between Botox and Filler? January and February are less social times of the year. It’s a great time to take the plunge on trying a bigger service with a bit of downtime. This winter treatment will kick your skin way up and get you ready for an amazing year where you feel your best! What should you try? Perhaps laser microneedling to help with redness, pore size, skin tightening and more. Maybe an IPL laser to reduce rosacea or age spots. You could get a big, crazy peel to bring your youthful skin back to the surface… your options are endless. Personally I would schedule a consultation with your esthetician to come up with a plan of action for this great New Years Resolution! When ever someone asks me about how to make their skin look it’s best… I can always point to good sunscreen use to keep things in order. I wear sunscreen EVERY DAY, 365 DAYS A YEAR on my face. Why? Because incidental sun driving around, sitting near the window at work and more does have an effect on aging! 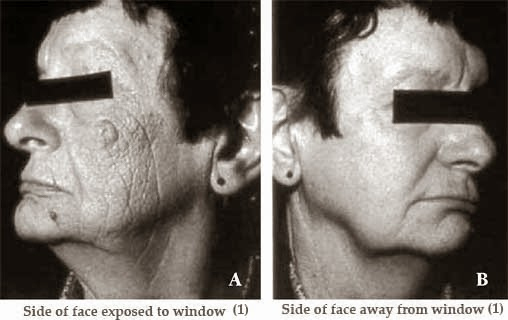 Check out this gal’s face… she sat at work every day her whole life with one side of her face towards the window… this is not a before and after shot, this is 2 sides of her face on the SAME DAY… look at how that incidental sun aged her!!! If that doesn’t help you make this resolution…. well, LOOK CLOSER!! Resolutions are all about doing things that good, healthy and make you feel your best. Make sure to consider some of these ideas as New Years rolls in this year!